This is one of my favorite images from my recent trip to Portugal. I made this image in Monsanto, on my way down from the castle, well after the Sun had set. I bracketed 3 shots to be able to capture the big dynamic range this scene had. 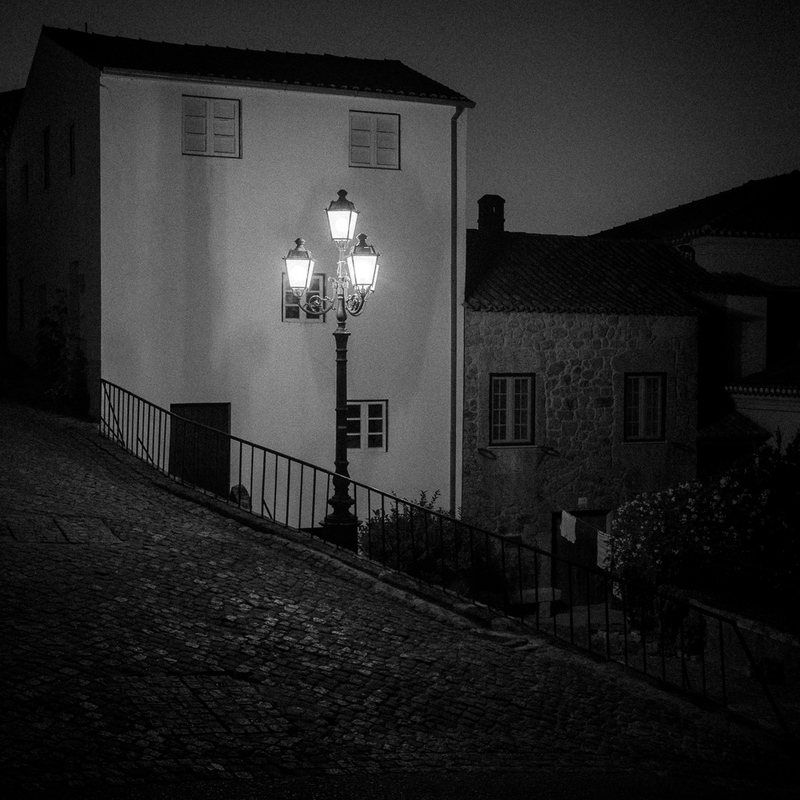 The difference between the street light and the dark parts of the photograph was too big to capture with just one exposure.